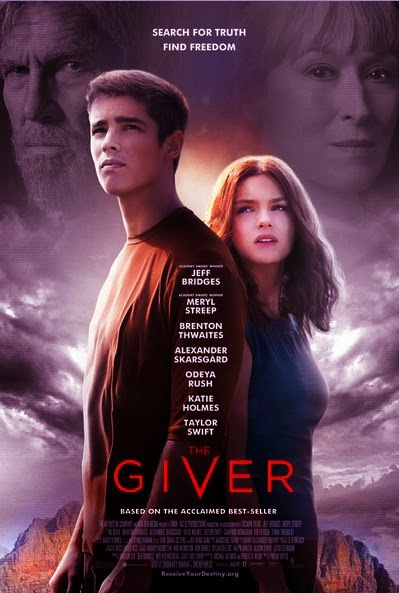 Maybe I shouldn’t have been as surprised as I was, especially since I had heard mostly positive things, but I was surprised by how much the movie adaptation of The Giver worked for me. I knew going in that there were quite a few changes, that was obvious just from the previews, but I felt all the changes worked and made sense. I liked how Jonas seemed more connected to his friends. I liked the added dramatic tension. I liked that the ending provided a little more closure. The book made a bigger impact on me when I read it than this movie did when I watched it, but in hindsight the book’s impact on me has lessened over time. It is a very good book but it has not stood the test of time for me as an absolute favorite. The movie provided a sort of instant gratification to experience what I liked about the book, but included the added bonus of seeing the memories, which is something I liked a lot because I’m pretty visual, and then was changed up in the right ways to keep it fresh and new to me. In reality, as a movie The Giver is not as good as The Giver is as a book, but I could see myself rewatching this movie more than rereading the book. In terms of casting, I felt most of it was spot-on. Fiona felt off a couple of times (and then when I found out how much younger the actress who played her was than the guy playing Jonas that felt a little… ewww…), but I did usually like her. And I liked everyone else; even Taylor Swift was decent. There were a couple of small things that bothered me, but I felt overall it was a very good adaptation, even with its changes, and Lois Lowry agrees and that’s all that really matters. I read The Maze Runner trilogy (and prequel) before I started blogging, and I never got around to reviewing it the way I meant to, but I know I’ve mentioned fleeting thoughts on the blog before, and I’ve definitely left comments on other people’s blogs along the lines of: “The ending is so disappointing and not worth it.” I liked the first book the best out of the series though, and thought I might want to see the movie when I saw a lot of positive comments about it, some people even saying it was better than the book. Is this a better movie than it was a book? I would say no. Is this a good enough adaptation where I feel you aren’t missing a lot if you didn’t read the book? To that I would say yes. There are some missing details of course, but seriously, not a ton happened in the book, so it was well-suited to be adapted to a movie. I especially appreciated that Theresa woke up earlier in the movie and got more screen time (even if she wasn’t quite as interesting in the movie as she was in the book). I honestly don’t know what I was expecting though. I think I hoped to get some sort of satisfaction at the end of the movie that I couldn’t get from the entire freaking book series, and I don’t know why. No, the ending isn’t satisfying because it ends like the book did and leaves you all set up for the second book, where you’ll only get more questions than answers, and then will then leave you hanging for book three where again, the answers are not satisfying and the ending is just completely hollow. I can’t find anything in this movie to complain about, except it being based off the book. 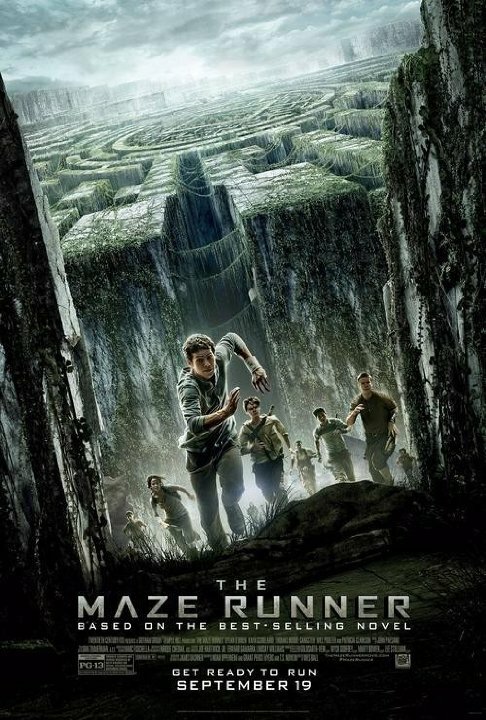 I thought the Glade looked perfect, the Grievers were well-done, and the actors were pretty spot-on. But I don’t think I’ll be able to continue watching the movies because I’ll just frustrated all over again. 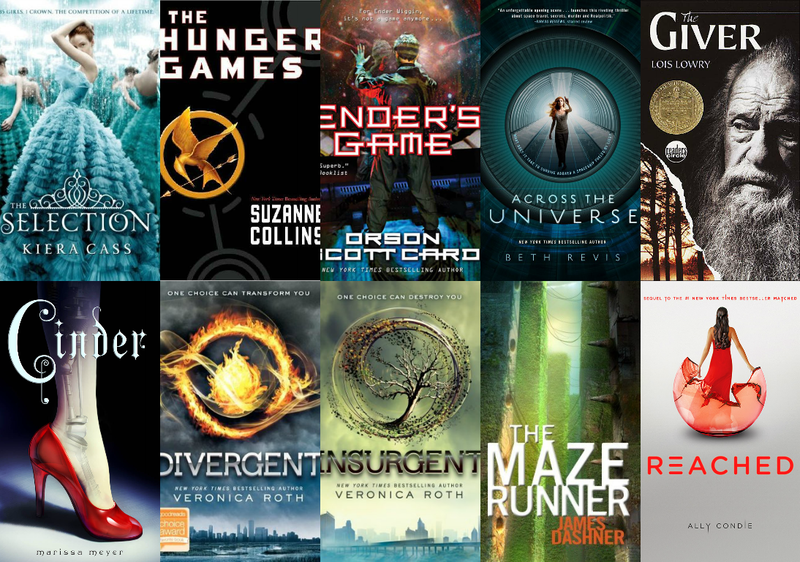 What are you thoughts on the movie adaptations of The Giver and The Maze Runner? Though I think several dystopias have adapted this idea, but I like the way it is illustrated in The Giver the best. Not only does everyone follow the same progression through life up until they are selected for their job and start to train for those, but they do not exhibit much independent thought because of this environment. The ability has not been taken away or suppressed by drugs, but they have been encouraged through positive reinforcement all their lives to live a certain way, to not question it, and to not want any more. When Jonas learns of the past and colors and things no one else in his town knows about, it challenges his thoughts on the status quo. It’s easy for everyone to be the same, but is it really a life worth living? 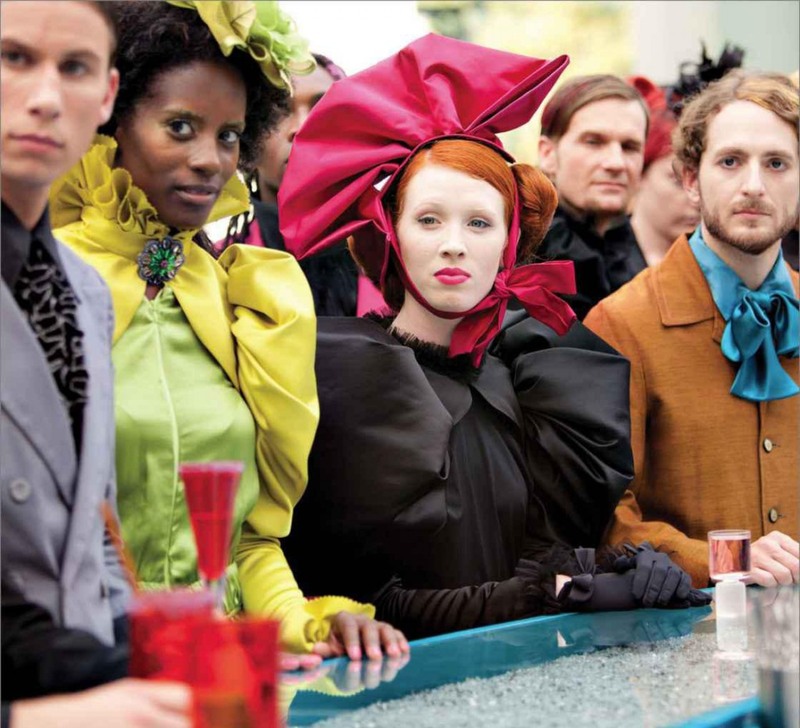 I think The Hunger Games in particular does an excellent job in showcasing a clear divide between the two main groups of people within the society: The elaborate Capitol and the struggling Districts. Not only do they force the Districts to give up children each year for the annual Hunger Games, which serve as a source of entertainment and gambling for the Capitols, but they subject the winners to their ways for the rest for their lives, so even the winners don’t really win. Some, like Finnick Odair, are even forced into prostitution because of their good looks and charming nature. 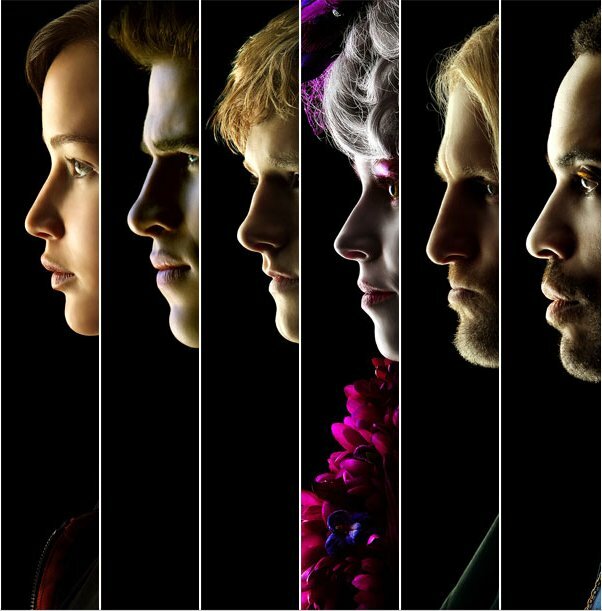 Whatever the Capitol wants, the Capitol gets, and subjects the Districts to. The Selection also shows a divide with a caste system and monarchy set in place, though I do not find Cass’ world building quite as detailed or effective as Collins’, but it does have a lot of potential. I think there are several dytopias who have their main character a stand-out. Tris (and others) are Divergents in their society, and cannot be categorized by one faction of their society, which some see as a threat. In The Giver, Jonas stands out because he is the Receiver, he has the ability to receive past memories and see things differently than the rest of his society. In Across the Universe, those who think differently from the norm, like Elder and Harley are considered crazy, when really they are just creative and the others have had their creativity suppressed. It’s an obvious element not just for dystopia, but for any story, but it is an effective one. I believe most all of us have a desire to stand out somewhat, even if it scares us. For all the things that drove me crazy about Reached, the conclusion of the Matched trilogy, the strongest element of the story, I thought, was how it was clear that the Resistance, the “good guys” in the story, aren’t as good as they had been romanticized by Cassia and Xander to be. They are willing to sacrifice people and create chaos in the name of their cause; they turn to panic rather than logic or strategy to overthrow the government. Cassia’s world grew more gray in Reached, which I think was a necessity for that series. It’s also interesting to see in Divergent and Insurgent how among these five factions, one cannot really be labeled “the good guys.” Yes, there are the honest ones, the peaceful ones, the humble ones… But just the same, the factions are not particularly good or particularly bad. It is the individual who is good or bad. In either movies or books, I am always fascinated by the notion that everything the main character has believed about their life has been a lie or at least a facade veiling secrets. It happens in Across the Universe, Insurgent, The Giver, Ender’s Game, Cinder, The Maze Runner series, and of course in other stories as well. It’s funny when you’re on the outside looking in, not understanding why the main character can’t accept that their reality is not actual reality when it seems so obvious to you. Or sometimes, it takes the reader by surprise too. But either way, if I think about it, it would be hard for me to accept too. It’s a “what if” question that certainly makes for a fascinating string of possibilities. The Maze Runner series was not my favorite, but one thing I did find fascinating was what these teens were being put through. First they are forced to live in an environment with a seemingly unsolvable maze (as well as potentially dangerous), and then when they finally escape it, they only face more trials that they forced to go through in the name of science and discovery. Unfortunately, I found the end of the series to be unsatisfying for an explanation as to why all these weird techniques were supposed to help, as well as an unsatisfactory resolution to the characters and their journeys, but the overall concept of using humans as test subjects is certainly fascinating. This is also a common theme in dystopia, but I think the way it was built up and ultimately played out in The Hunger Games trilogy is especially fascinating. Katniss plays the rules of the game to a point, but she slowly, and not completely purposefully, starts the destruction of the system from the inside out. She also has a lot of help along the way because even a teenage girl as strong as Katniss can’t take down a whole government herself. Unfortunately I have not seen too much yet of this yet in the dystopias I have read, and in the ones I have found it in, they have been used in somewhat underwhelming and disappointing ways, but as I have mentioned before, genetic engineering fascinates me. I want to see more! 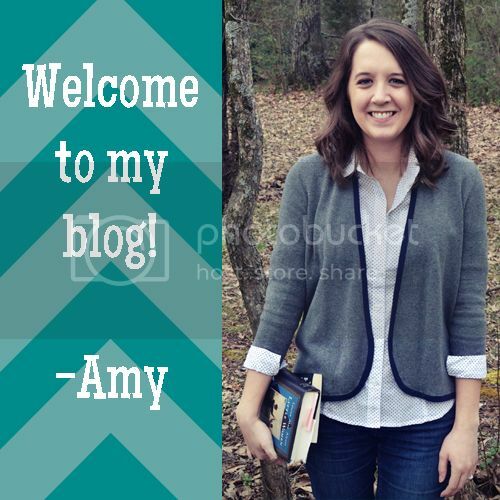 Any story that starts off in the ruins of a previous society marred by war, or even years after war but with lingering aftermath, (Hunger Games, Divergent, Ender’s Game, The Selection, Cinder, etc.) piques my interest. What caused the war often determines how the society is rebuilt afterwards. There is often this notion that society will be better this way than it was before, but many times, as we see, that is not necessarily true. What about you? 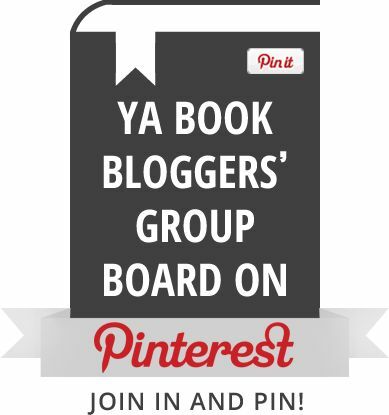 What elements interest you in dystopias?